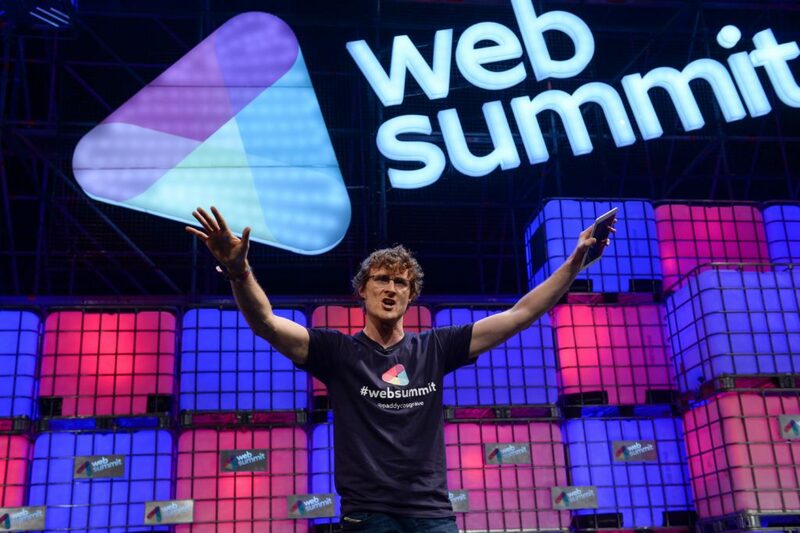 We attended Web Summit last week, one of the largest tech conferences in the world with 22,000 attendees from over 100 countries. Of those attendees, there were 2,160 startups, 1,324 journalists, 1,000 investors and 614 speakers. All of this took place in Dublin, Ireland last week from November 4th through 6th. Navigating 2,000+ startups over the course of 3 days at a massive venue (Royal Dublin Society) was quite challenging. Our team discovered a number of promising music startups at Web Summit that will change how we experience and produce music on many levels. MashMachines is a multi-national team based in Estonia. The Mash Machine is a new form of entertainment that allows anyone to make music. You really need to watch the video. We think that this is what everyone will be asking for this holiday season! S ofaSession is a Vienna based startup that allows you to jam online in real-time with your friends. You can invite any member to play with you in an online session with low latency software that makes it seem like you are making music right next to your friends, even if they are halfway across the world. Sofasession even hosts open jam sessions on their site covering all genres and levels of music. Go check them out to start jamming! 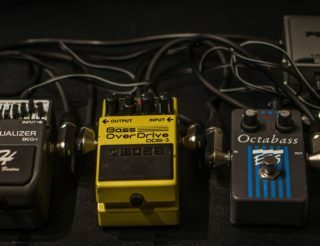 HumTap, headquartered in San Francisco, is on a mission to unleash musical creativity. 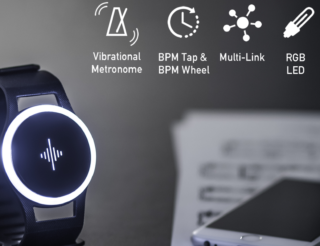 It allows you to make music by simply humming a tune or tapping a beat. HumTap seeks to change how the world makes and shares music with this unique technology. Definitely watch this demo video to be amazed! ClapMe, a Brazilian startup, is a virtual stage where artists can perform live for thousands of people. In addition to the visibility, artists can also monetize their work by offering private concerts or by selling merchandise. ClapMe allows for an interactive experience for fans and musicians during the show. The platform already had 10,000 users back in August with much growth since then. WaveStack, based in Mexico, is a project management platform for creating music. Think of it as the cloud for music production that enables you to visualize your projects changes and track all changes you and your collaborators make as you go through the music production process. Think about all of the time this could save musicians! Xhail, an Irish startup, let’s users compose music in real-time with unlimited sound resources. Whether you need music for a TV show, movie, advertisement or game, Xhail is a great new platform to consider. It gives users access to unique music cues under an exclusive global license for each project. In addition, Xhail is pioneering an industry change that opens up a new revenue stream for session musicians, which they didn’t have access to before. Voxtrain, a fellow Berlin-based startup, is an online platform for singers designed to help train your voice. Similar to fitness, everyone wants to be fit and strong, but few stick to a clear program. This voice program includes exercises, great soundtracks and a personal trainer leaving you with a practical program to help you achieve your singing goals. Keep an eye out for Voxtrain’s advertisement on The Voice of Germany! BantaMu from Italy, is a professional network that lets you find new collaborations and unique opportunities in the music industry. It comes from the need to give a free area where music professionals can create an online portfolio in a quick and easy way, making it visible to people that need their talents. Want to know where the name “BantaMu” comes from? It is the union of the words Bantum & Mu. Bantum are the cables used in the recording studios to patch different audio signals & Mu is the name of a fictional submerged continent. WholeWorldBand, based in Dublin, is an interesting music platform that brings musicians together from around the world. 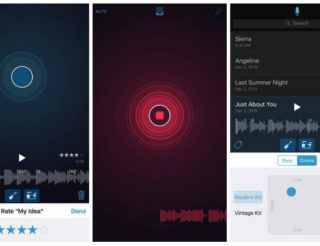 Using the app is like entering a virtual recording studio where fans just pick a recording session & contribute a vocal, instrumental, visual or anything else they feel like adding. Users don’t even need to be musicians, as they can simply create their own custom music videos.